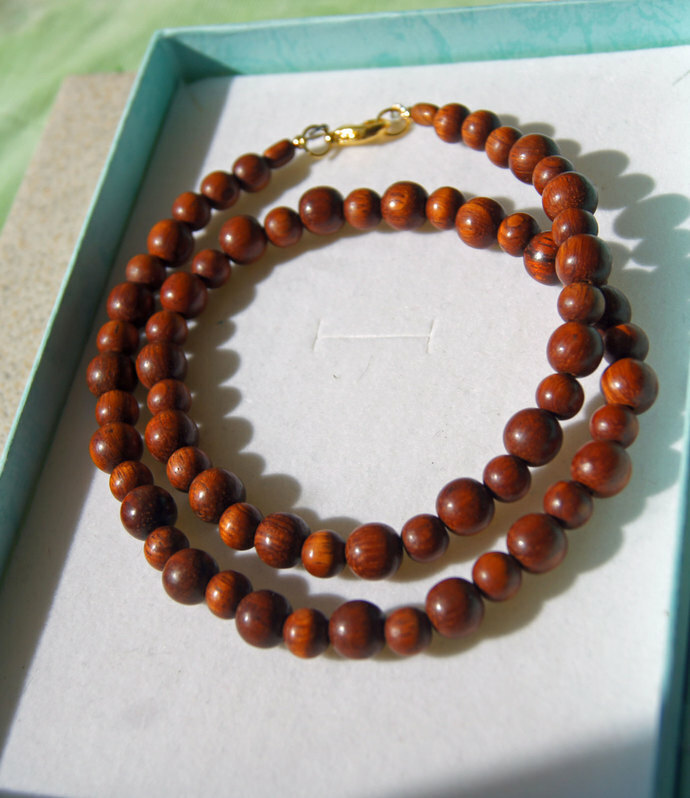 Bayong Beaded Wooden Set: Consisting of 22 inch necklace of 10 and 6mm beads.Bayong bead bracelet. The bracelet is 8.5 inches and with matching earrings. 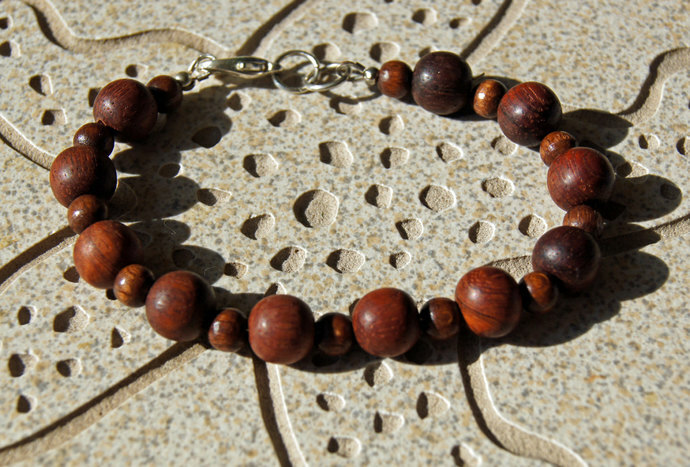 Bayong is a hardwood that grows in the Philippines. 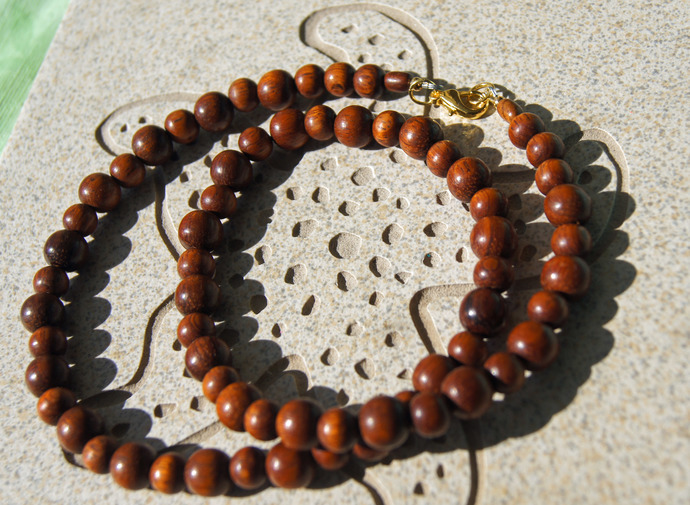 It is durable, making it long wearing and suitable for jewelry. 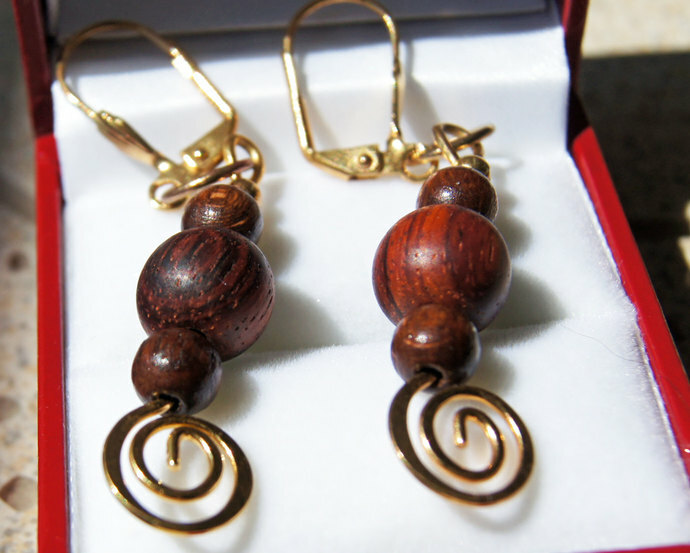 The natural color is a warm red-brown, with a lovely wood grain pattern that can be easily seen. These have a very smooth finish and are light and are hard wearing. I only use the finest products available. Both necklace and bracelet are strong on light wire beading wire, finished with wire guards to ensure maintenance free care, improved structure and security. All findings sterling silver or 18k gold, nickle free and hypo-allergenic for your wearing pleasure. If you buy the set the earrings are free! Please convo me to customize your set. Wrist measurements: (Small, Medium or Large). In measuring the wrist, allow for a little wiggle room so it is not tight. Other options if you want single items. All items are made in my smoke free home with my cat in residence companion.